DUI in Georgia - What is the 10 Day Rule? If you are arrested for Driving Under the Influence (DUI) and you take the breath test and have a BAC of .08 grams or more (over the age of 21), .04 or higher (if operating a commercial vehicle), or .02 or higher (if under the age of 21), or if you refuse to take a breath, blood, or urine test, or if you attempt to take the test and are unable and the officer still marks you down as a refusal, you only have ten days to request a hearing to avoid having your license to drive suspended for up to one year with no chance at receiving a work permit. 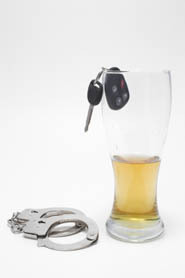 Based upon the factors above, the state will most likely attempt to suspend your license to drive for one year or more. This effort to suspend your license will probably take place prior to any trial and will be automatically entered against you unless you file an appeal with the Department of Public Safety in writing within ten business days after your arrest. Filing an appeal gives you the opportunity to be heard by an Administrative Judge not attached to the criminal charges pending against you by the State. The outcome of this administrative hearing will establish whether you will be able to retain your privilege to drive pending the outcome of the criminal charges surrounding your DUI.